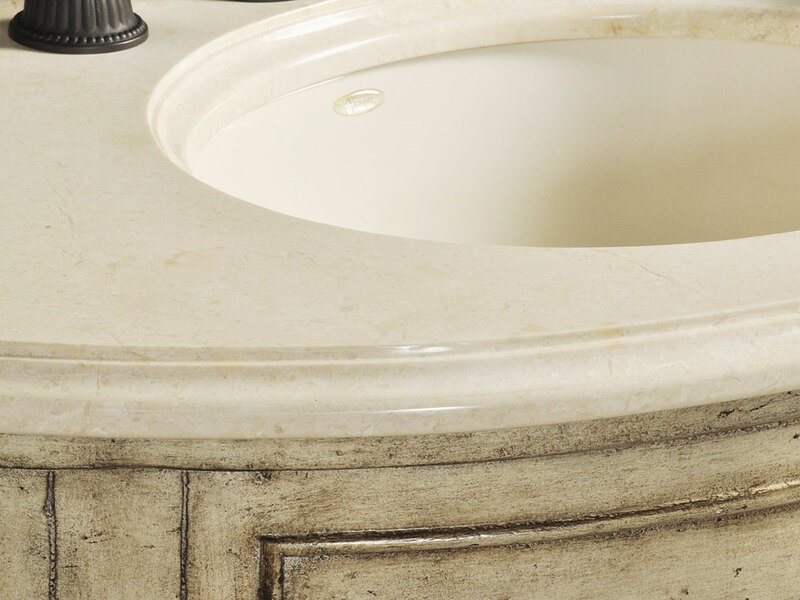 The 44" Patrician Capiz Shell Single Vanity features a half-moon shape for a unique look that stuns. 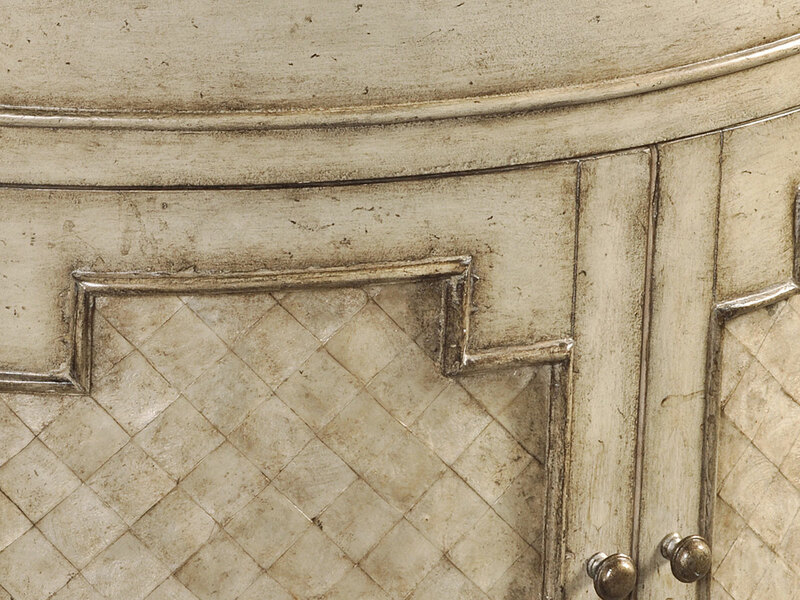 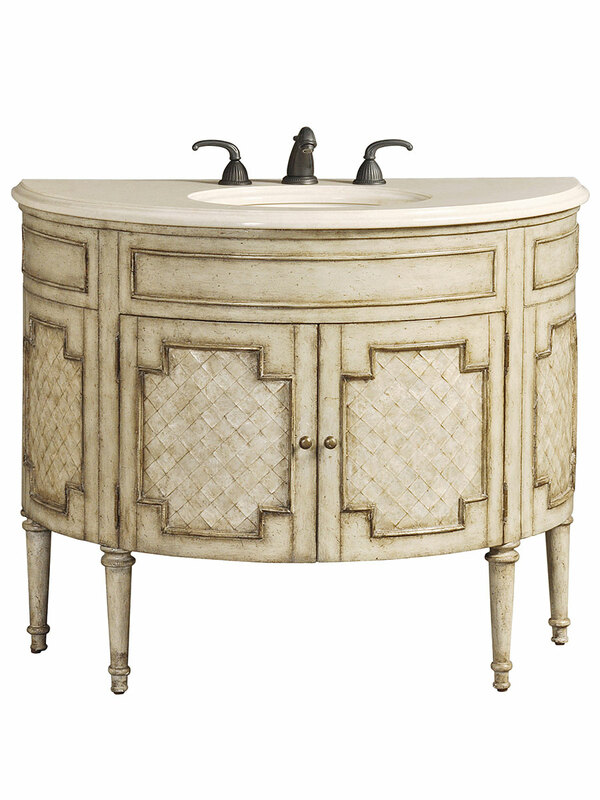 Its gorgeous cream finish is accented by inlaid capiz shells that offers a luminous finish. 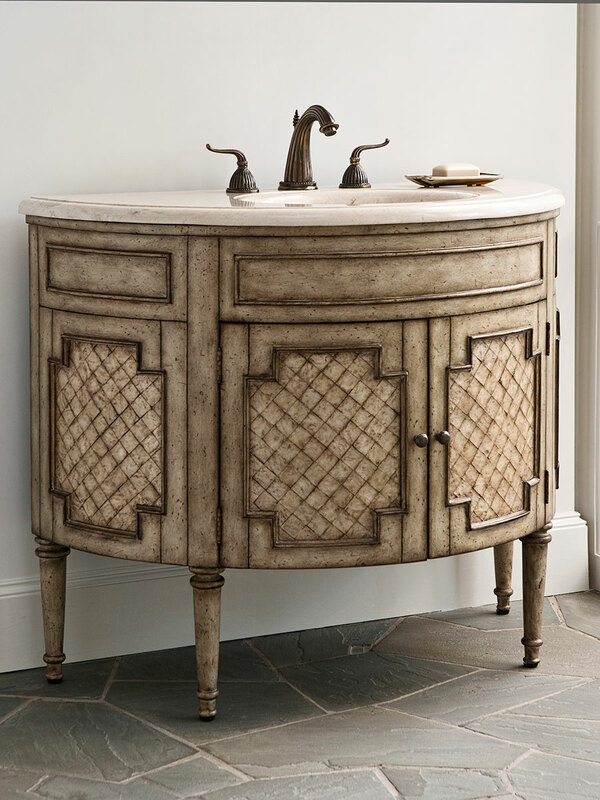 The solid wood cabinet offers a sturdy, spacious storage space with ample storage room while its cream marble top perfectly complements the entire vanity.